Sometimes the best thing you can do is worry about yourself. Even if you are willing to give a helping hand, some people may not want it. 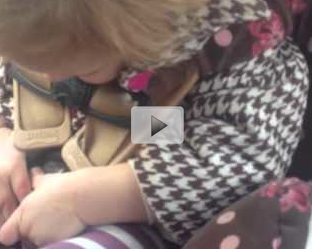 In this video, one little girl wants to buckle herself into her car seat. No matter how many times her father asks to help, she reminds him to worry about himself. She doesn't want his help and wants to do it herself. Watch this funny video and see just how she reacts to her father's questions.